Australian Sir Charles Kingsford Smith was an aviator who set numerous flying records in Australia and other parts of the world. 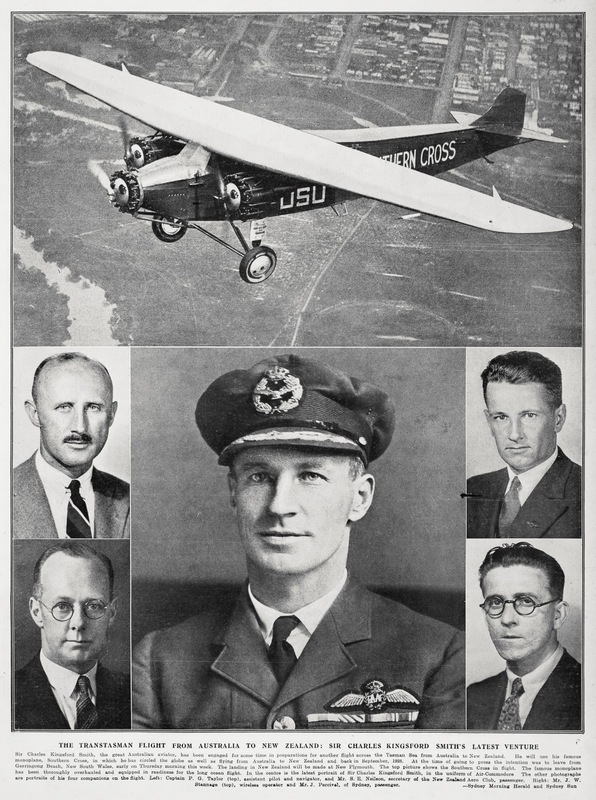 In January 1933, the people of Thames eagerly awaited the chance to see Sir Charles Kingsford Smith’s world-famous monoplace called the ‘Southern Cross’. In the latter part of the 1920s previous efforts had been made to have Thames included in a visit, but this does not seem to have taken place. 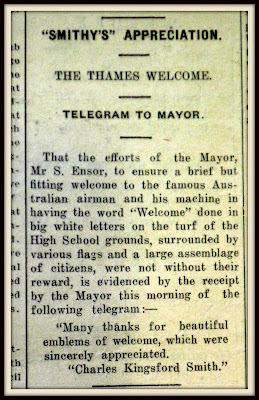 Mayor of Thames, Mr S Ensor tried vigorously to get Thames included in a touchdown visit during the January 1933 New Zealand visit. 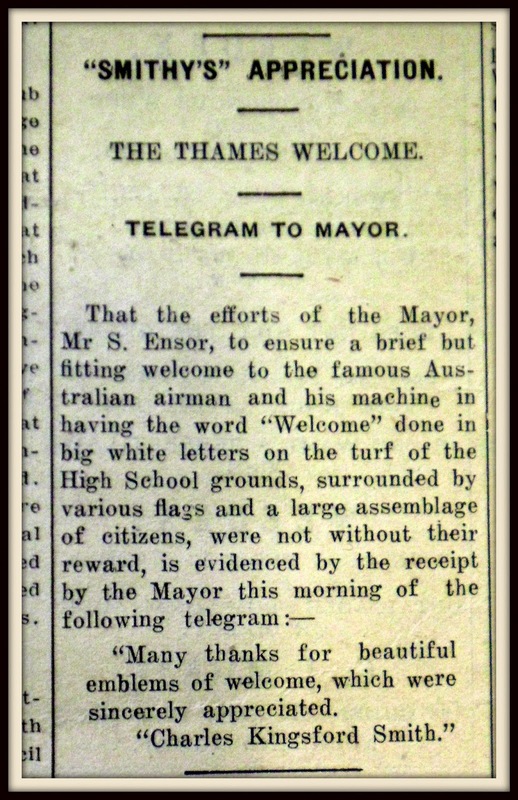 Alas this could not be arranged, so Mayor Ensor sent a special telegram to Sir Charles at Rotorua. “Citizens regret Thames cannot be included in your itinerary, and would appreciate your circling above Thames during flight from Waihi to Auckland. A favourable reply would afford great pleasure.” (Thames Star 19 Jan 1933). The town went into a frenzy of preparation led by Mayor Ensor. The Thames High School grounds were chosen as the suitable venue for the town gathering to watch the ‘Southern Cross’ circle Thames. The word “WELCOME” to be painted in white 20 foot letters across the ground at the school. Thamesites were urged to attend with flags and other emblems of greeting. Also that buntings and flags be flown on businesses around the town where possible. The big day arrived and an altered schedule meant that the plane did not arrive until just before 5pm 27 January 1933. People had gathered at the Thames High School and other vantage points around the town. Dipping low over the High School ground and rising sharply to circle over the town, the Southern Cross revealed her graceful lines to the many watchers below, the passengers being distinctly seen waving through the windows of the ‘plane, and the registered lettering, VH-USU, showing up boldly. Amid the cheers from the younger brigade and much hand-waving, Sir Charles manoeuvred his big machine as easily as the smallest Moth, and the impression gained was one of great latent power in the three engines which roared out their response to the welcome from the people of Thames. Maybe amongst your family memorabilia photos you may have a picture of the day Thamesites saw the great Southern Cross fly over Thames?